14 February 2019 is coming! It is time to throw your work aside and plan a nice date for your significant other. If you’re still fussing over where to go, I’ve got you covered with KOMYUNITI’s 4-course VDay menu! From hearty dishes to refreshing alcoholic beverages, it’ll fill your tummy and heart! 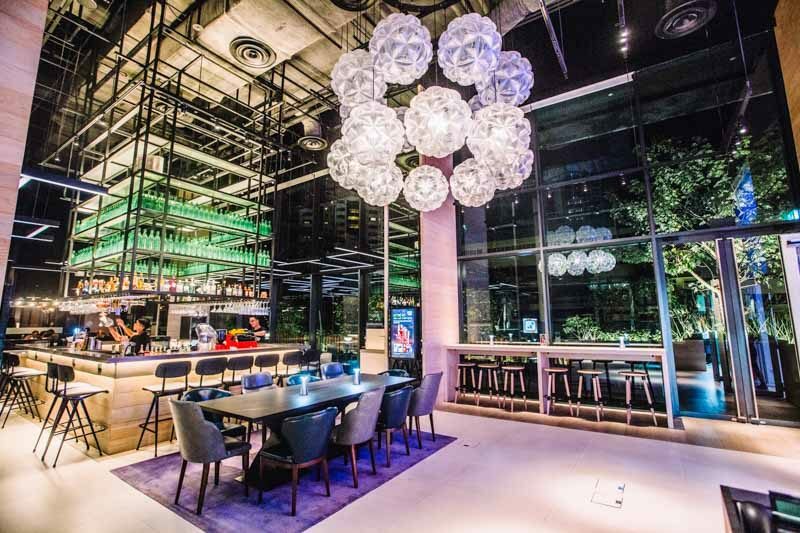 Located at YOTEL in Orchard, this restaurant delivers fine dining away from the hustle and bustle of the city. Its luxurious decor adds a romantic ambience to the dining experience, making it an ideal V-Day venue. For just S$90 per pax, you get to enjoy a lavish four-course spread accompanied by cocktails for each course. 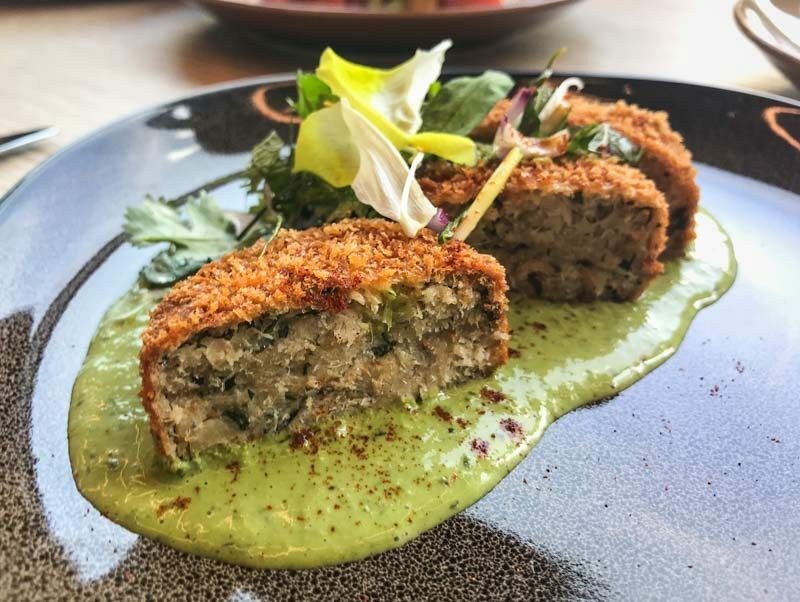 Surrounded by a tangy sauce, the Crabcake With Green Goddess Sauce delivers a crunch to tease your taste buds. Get ready to have your appetite whet with this refreshing appetiser! 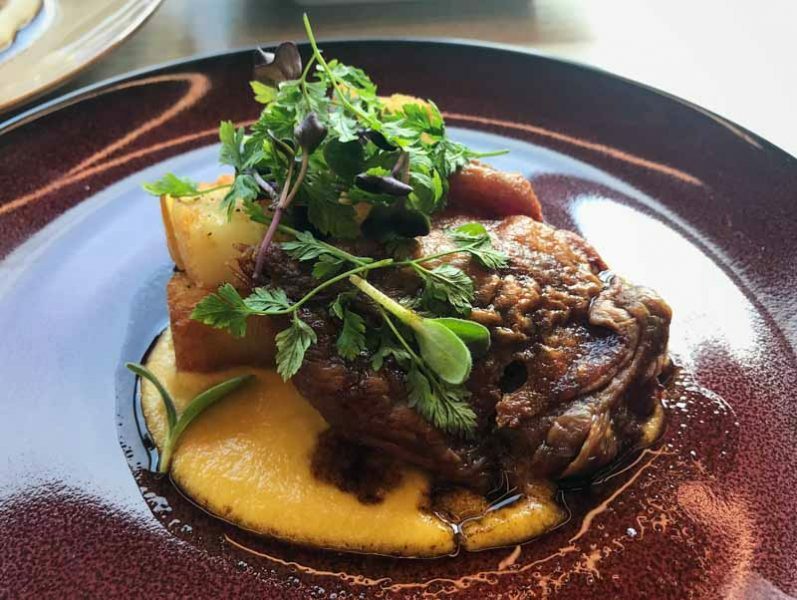 Paired with potato mille-feuille & miso corn puree, the Duck Leg Confit will drive you crazy with its flavours. Down it with a fruity blend of Scotch Whiskey and Mezcal for a satisfying course. 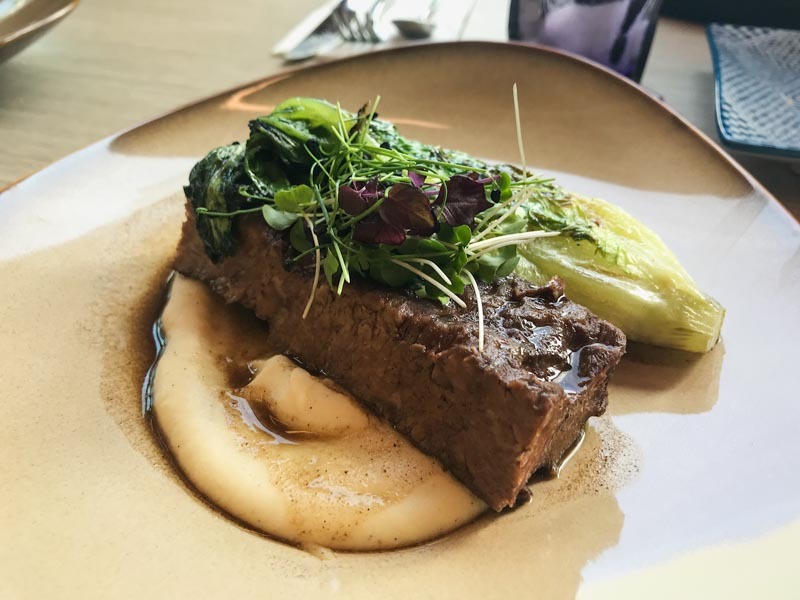 If duck isn’t your thing, opt for the Beef Short Ribs instead, which features juicy beef atop charred romaine & parsnip vanilla puree to satisfy your inner carnivore. 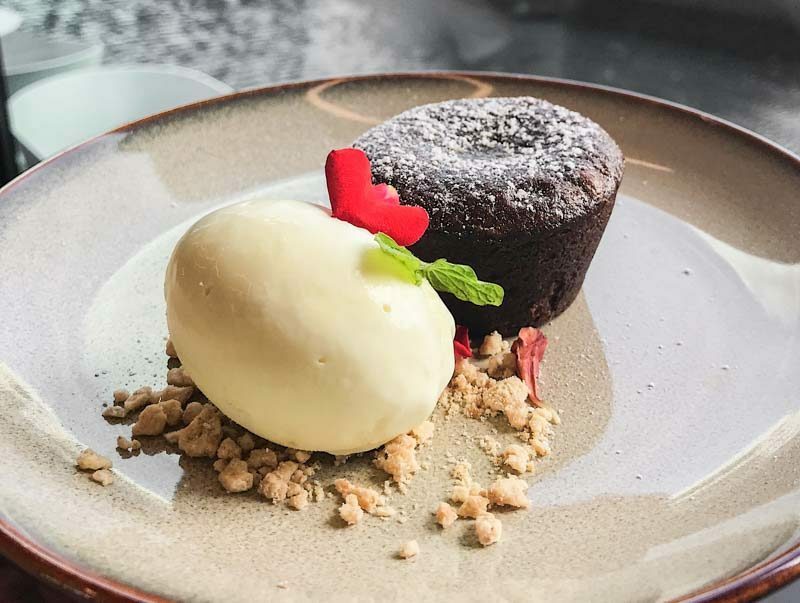 End off the night with a simple Chocolate Lava Cake & Vanilla Ice Cream. Don’t be deceived by its unassuming appearance, a mouthful of this dessert and you’ll be moved by its simplicity. 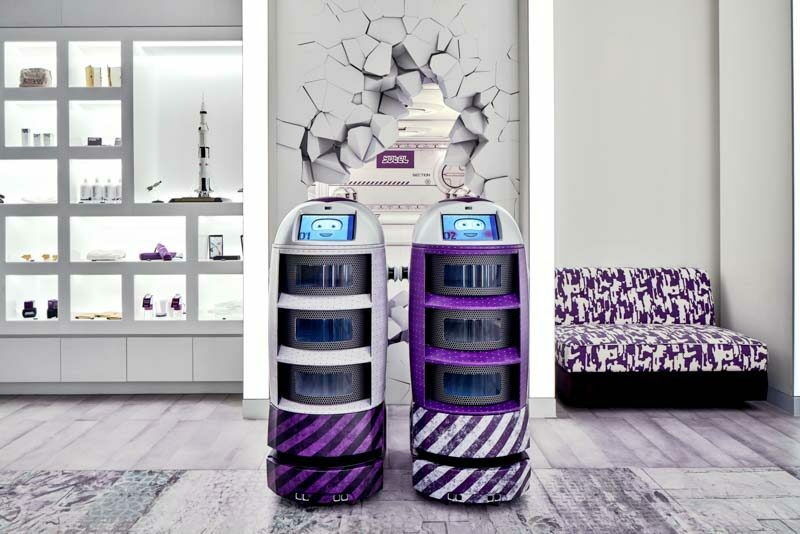 You’ll want to keep a lookout for YOLANDA, KOMYUNITI’s service robot, that will make a special appearance at the entrance ready to snap a wefie with just a tap on her screen. Grab a prop and seize this opportunity to capture a beautiful memory with your partner. With good food and ambience awaiting you, what’s there not to love? Get ready for an unforgettable gastronomic experience this Valentine’s Day at KOMYUNITI!